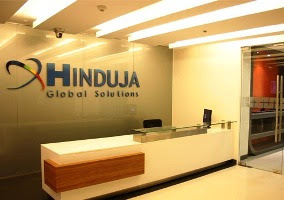 Hinduja Global Solutions Limited (HGS) has announced the enhancement of Website-as-a-Channel (WaaC), an intelligent customer engagement offering that helps businesses give their customers the right answer fast. 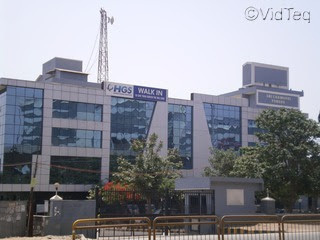 HGS WaaC is a self-service system that combines virtual and live agent customer support, creating a more efficient and engaging customer experience. An online self-service system, HGS WaaC revolutionizes the way customers get answers to their questions with intelligent search, self-help videos, and highly interactive virtual assistant capabilities. HGS WaaC features smart design that enables intuitive and satisfactory customer experiences, turning consumers with problems into brand promoters. The service is powered by Smart Channel Selector, HGS’ proprietary technology uses analytics to guide the consumer and automatically pivots to the best channel to ensure resolution, including live agents. Smart channel selector is constantly learning; it gauges customer satisfaction with the resolutions it provides and optimizes the experience to help consumers get the right answer fast. The HGS WaaC solution is so successful that for a particular client up to 97% of customers on the portal get their issue resolved without needing further assistance from an agent. By using automation and analytics to contextualize and personalize the experience HGS WaaC is making it easy to do business. In addition to improving overall customer satisfaction, the service drives tremendous cost-savings ranging from 30-60 percent for the client. HGS provides WaaC to businesses by working through existing company websites or by creating and managing new custom portals for customer support. The solution resolves customer questions across multiple devices, including mobile phones and tablets. HGS WaaC is cloud-based, capital-light, and quick to deploy in as little as 90–120 days. It does not require a complete transformation of a company’s website or support infrastructure. HGS WaaC uses HGS Digital Natural Assist (DNA), a knowledge management technology that unifies the customer experience across channels. A full-service solution, HGS DNA helps companies in complex industries save time and money by helping customers easily access the information they need, often on their own. HGS WaaC has garnered significant accolades since its implementation in 2013. The solution won a Gold Stevie Award for Best Use of Technology in Customer Service (2016), Gold Contact Center World Award for Best Outsourcing Partnership (Americas) (2015), and Best of Outsourcing Thought Leadership Award – Cost-Savings (2015).